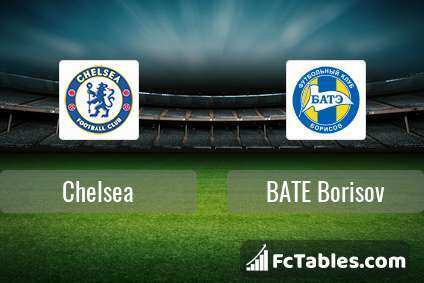 Kick off Chelsea-BATE Borisov in Europa League on today 19:00. Referee in the match will be . Team Chelsea is at the top place in the table (1 place). Form team looks like this: In the last 5 matches (league + cup) gain 6 points. Players Chelsea in Europa League with the highest number of goals: Willian 1 goals, Alvaro Morata 1 goals. Players Willian 1 assists, Ross Barkley 1 assists will have to be very well guarded by defenders BATE Borisov, because they have the most assists. 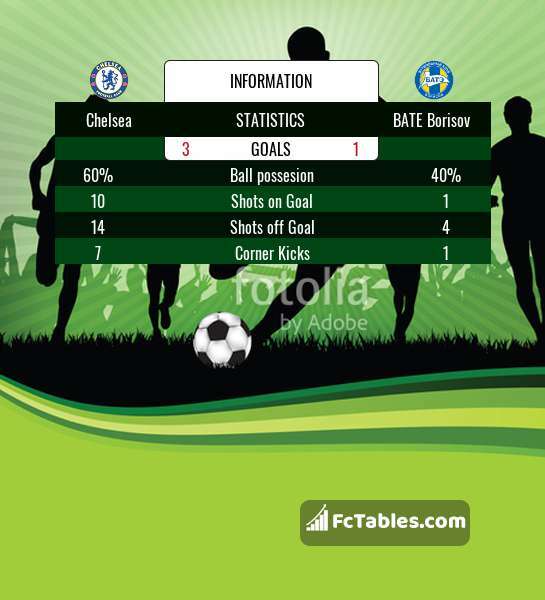 Team BATE Borisov is located in the middle of the table. (3 place). 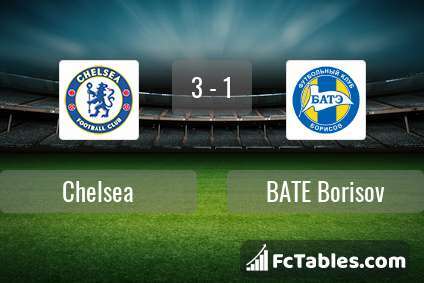 BATE Borisov in 5 last matches (league + cup) have collected3 points. Leading players BATE Borisov in Europa League is: Egor Filipenko 1 goals, Jasse Tuominen 1 goals. Most assists in the club have: , Evgeniy Yablonski 1 assists.